Norman Blaikie's popular and accessible text on preparing research designs and proposals for students in the social sciences has been fully revised and updated, taking in the burgeoning literature in the field. The basic requirements for research designs and research proposals are laid out at the beginning of the book, followed by discussion of the major design elements, and the choices that need to be made about them. Four sample research designs at the end of the volume illustrate the application of the research strategies. Designing Social Research will continue to be an invaluable resource for advanced undergraduate and graduate students planning their own research. The new edition dovetails with Blaikie's Approaches to Social Enquiry and together the two books offer an innovative and comprehensive guide to research for social scientists. 3 Research Questions and Purposes. 4 Strategies for Answering Research Questions. 5 Concepts, Theories, Hypotheses and Models. 6 Sources and Selection of Data. 7 Methods for Answering Research Questions: Data Gathering and Analysis. 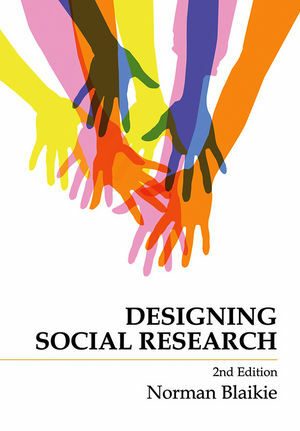 "The revised edition of this valuable guide to designing research in the social sciences maintains its hallmark qualities: it is clearly organized yet broad ranging, and identifies the key issues which all robust social science research must confront while sharpening its approach to some of the most intractable and perennial research design questions. Above all, it is readable, versatile and intuitively applicable." "Blaikie's book is a manifesto for rigorous and successful design in social research, showing how forms of logic are actually used to produce new knowledge. It is a rich reference volume for every aspect of research design, accessing with clarity the complex and important terrains of research methodology. This is an invaluable resource. Read it twice - at least!"